The main problem in applying existing geomechanical software suits is the fact that the process of developing the starting geological and structural model of a deposit is extremely complex, which is due to lack of automation in collecting separate data on initial geological and geomechanical conditions. The purpose of this research is to develop a software suite for detecting zones potentially prone to rock bursts. The research methodology includes analyzing causes of mine destruction and identifying the most influential factors based on a systematic approach, assessing the possibility of using existing software for detecting zones potentially prone to rock bursts in difficult geological and mining conditions, and developing software algorithms and modules. The result of the research is an automated software suite that includes modules for processing initial geomechanical and geological surveying data, implementing a numerical method of solving boundary integral equations (3D), evaluating loss of rock stability in mines, and creating forecast maps showing zones prone to rock bursts. The software suite that has been developed contains automation tools for collecting data on major natural and technogenic factors, non-homogeneous lithology, changes in formation thickness, tectonic disturbances, ore and rock properties, as well as parameters of worked-out areas and pillars etc. The implementation of the software suite within the framework of a system for ensuring geodynamic safety in mines prone to rock bursts enables workers to conduct multivariate mine planning with a view to reducing the size of zones prone to rock bursts. A more accurate analyzing and forecasting improves the quality of engineering solutions, which in its turn improves the overall performance of the mining enterprise. Russian mines have accumulated considerable experience in managing rock pressure, predicting geodynamic phenomena and preventing pillar disintegration as well as mine collapses. The methods of predicting and preventing rock bursts differ depending on the scale of the problem being solved and refer to the local or regional level [1, 2, 9]. The analysis of regulatory documentation shows that local forecasting methods are meant to determine the category of rock burst hazard for separate mines or segments of rock mass. When assessing the effectiveness of local forecasting methods, it is necessary to clearly understand their purpose, which is to detect burst-prone areas resulting from the concentration of elevated stresses at the edges of entry workings, stopes and permanent workings. In accordance with the purpose of these methods, stresses are calculated at a depth where they have the highest level, i.e. usually at a distance of 3 to 4 m .
In the case of rock-tectonic bursts, where a wave of energy comes from a source of destruction located in the vicinity of a fault plane and at a considerable distance (10 to 20 m or more) from the edge of the deposit, it is natural to conclude that local forecasting methods are unsuitable for detecting burst-prone zones in advance. For regional forecasts, seismological data usually gives the most representative information on sources of destruction in rock mass. Regional forecast data makes it possible to monitor trends in the development of a potential rock burst and detect potentially hazardous areas, including those where rock-tectonic bursts might happen . However, there are no quantitative criteria for assessing the danger of rock-tectonic bursts by this method or any other method available at present. The prevention of rock bursts and rock-tectonic bursts in mines is based on the application of several measures for relieving stress in rock mass by local and regional methods in accordance with the requirements of current regulations. On the whole, these measures make it possible to produce a positive effect on both the edges of mines and the enclosing rocks in the state of stress. However, it is obvious that it is necessary to continue work on improving preventive measures in tectonically active zones and assessing their effectiveness . In order to solve this problem, it is advisable to apply computer simulation methods. It will increase the level of safety and the effectiveness of technical solutions for the prospective planning of mining operations and the selection of both mining method parameters and preventive measures. Since underground ore mining is characterized by a complex spatial geometry of mining operations, we have analyzed geomechanical computer programs that solve volumetric elasticity problems. Among Russian programs using the finite element method are NEDRA3D (Saint Petersburg Mining University) and SIGMAGT (Mining Institute of Kola Science Centre of the Russian Academy of Sciences). Similar programs that were developed in other countries include ABAQUS, ADINA, ANSYS3D, BEFE, DIANA, ELFEN, FLAC3D, MIDASGTS3D, PENTAGON3D, PLAXIS3D, SIGMA3D, SIGMA/W, SVSLOPE, and TOCHNOG. Among Russian programs using the method of boundary integral equations are FAULT3D and PRESS3D (Saint Petersburg Mining University). EXAMINE3D is an example of a foreign program of the same type. As a rule, programs that implement the method of finite differences are used for solving hydrogeological problems in the study of the dynamics of groundwater. The main problem in the application of geomechanical computational software is the complexity of developing the starting geological and structural model of the ore deposit . In view of this, Saint Petersburg Mining University (Russia) has developed numerical algorithms, data automation tools and the PRESS 3D URAL software  suite for predicting states of stress and burst-prone states in ore deposits and pillars taking into account such factors as sudden changes in hypsometry, the configuration of edges, physical and mechanical properties of the deposit and the pillars, as well as tectonic disturbances and the parameters of borehole stress relieving. Also, these tools make it possible to calculate the parameters of borehole stress relieving performed in burst-prone areas in advance. The PRESS 3D URAL software suite includes three main blocks : 1) documentation processing (database creation), 2) numerical and analytical calculation, 3) result processing. The software suite has been developed with the use of the component technology, which makes it possible to differentiate between objects and their properties within the area of mining operations being analyzed. The automation of creating a database and populating it with the initial data involves two aspects. Firstly, it involves the automatic generation of pillar, deposit and mined-out area grids with the subsequent automatic interpolation of their properties within the area being analyzed using Delaunay triangulation. Secondly, it involves automatic data generation on large-amplitude tectonic disturbances taking into account the spatial configuration of fault planes as well as their physical and mechanical properties . The automation of numerical and analytical calculation consists in the development of algorithms that implement various calculation methods containing a significant number of loop structures. The automation of result processing consists in the use of the technology of object linking and embedding with subsequent export of results to such modern visualization systems as AutoCad, Surfer, and CorelDraw. The user interface of the PRESS 3D URAL software suite includes the main window for processing mining layout data as well as a number of auxiliary windows and toolbars for data editing. Fig. 1, 2 and 3 show the results of calculating additional normal stresses and rock burst hazard in the deposit, as well as the components of the stress tensor, fracture parameters, and seismic energy values in the zones of tectonic disturbances. The results of predicting states of stress and burst-prone states in the ore deposit and the pillars are either presented in the form of an electronic mine layout or are plotted on a copy of the mine layout (Fig. 4). When large-scale borehole stress relieving is performed in advance, it is of practical interest to determine clearance dimensions. The application of the PRESS 3D URAL software suite makes it possible to determine the scope and cost  of preventive measures in advance (Fig. 5). The literature review has shown that the PRESS 3D URAL software suite designed at Saint Petersburg Mining University is the first one of its kind. It is aimed at carrying out integrated assessment of the geomechanical state of the ore deposit and the pillars taking into account both rock bursts and rock-tectonic bursts; also, it is aimed at designing preventive measures taken in the mine. Special attention should be paid to the fact that the PRESS 3D URAL software suite can be integrated within the framework of the system for ensuring geodynamic safety of mining operations at a particular mine operating in a burst-prone deposit. This creates a more multifaceted approach to solving the problem of rock burst hazard. Mark C. Empirical Methods for Coal Pillar Design, Proc. Sec. Int. Workshop on Coal Pillar Mechanics and Design, Pittsburgh, 1999, pp.145-154. Maybee W.G. Pillar design in hard brittle rocks, School of Graduate Studies Laurentian University Sudbury, Ontario, Canada, 2000, http://www.collectionscanada.gc.ca/obj/s4/f2/dsk1/tape4/PQDD_0011/MQ61284.pdf. Mitas L, Mitasova H. Spatial interpolation. New Developments in Geographical Information Systems: Principles, Techniques, Management and Applications, The University of Edinburgh. http://www.geos.ed.ac.uk/~gisteac/gis_book_abridged. Mulev S.N. System regionalnego prognozowania zagrozenia tapaniami w kopalniach Rosji, Mechanizacja i automatyzacja gornictwa, Katowice, Poland, N 3/493, 2012, pp.26–30. Ponomarenko T.V. 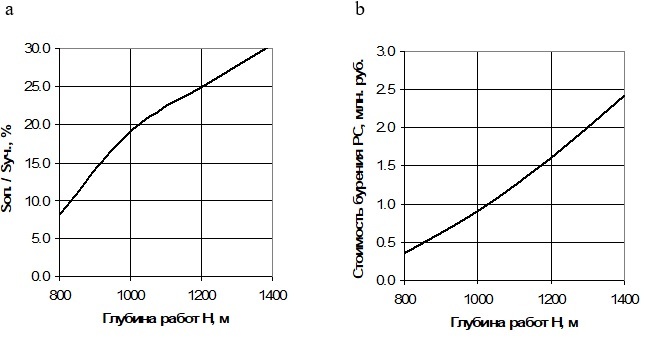 Tehniko-jekonomicheskoe obosnovanie optimal'nyh parametrov celikov pri proektirovanii razrabotki udaroopasnyh rudnyh mestorozhdenij, Zapiski Gornogo institute, 2012, vol.198, pp. 11–14. Shabarov А.N., Krotov N.V., Tsirel S.V. Modern Methods and Means for Solving Forecast Issues find Prevention of Geodynamic Phenomena in Collieries, 21st World Mining Congress&Expo, 2008, 7-12 September 2008, Poland, Krakow. 2008, pp.137–142. Sidorov D.V., Mozer S.P., Brigadnov I.A. Automation of the interpolation of pre-processor basic data for program complex «PRESS 3D URAL», Journal of Advanced Computer Science and Technology, N 2, 2013, pp.59–67. Svidetel'stvo o gosudarstvennoj registracii № 2012618481 ot 19.09.2012. Programma dlja JeVM «PRESS 3D URAL», Rospatent, M., 2012. Tavakoli M. Underground metal mine crown pillar stability analysis, Doctor of Philosophy thesis, Department of Civil and Mining Engineering, University of Wollongong, 1994. http://ro.uow.edu.au/cgi/viewcontent.cgi?article=2280&context=theses.